 UKDN Waterflow > News > UKDN Waterflow leads drainage industry with Drain Repair Book 3rd Edition WRc approval. UKDN Waterflow, the UK’s leading independent best value partner for water and wastewater services, has just received a new five year accreditation from the Water Research centre (WRc) for compliance with the Drain Repair Book 3rd Edition. The independent certification sets out our compliance with the Book, which has become the recognised standard for domestic drain investigation and repair in the UK. 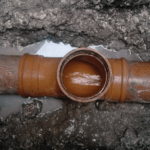 The book was developed by the Insurance Drainage Forum, a group of the largest UK insurance companies and other key industry stakeholders, as the best practice guide for Drain Repair. Richard Thomas, who headed up the team that worked on the accreditation process, commented “We’ve worked on the approval process since the start of the year, to a demanding criteria laid out by the WRc. We were first audited way back in 2004 against the first edition of the book, and again in 2007 against the second edition. The 3rd edition both updates and adds content to the previous edition in keeping with the Drainage Forum’s desire for it to be a ‘living document’. Changes have been made in response to the significant change in legislation covering drains and sewers in the Transfer of Private Sewers and Lateral Drains in October 2011. This new accreditation comes six months after UKDN Waterflow’s Technical Services team received a further five year approval from the Water Research Centre for UV Lining, with first accreditation of the iMPREG UV Cure Manhole to Manhole Lining System.